Written by Matt Prindiville. Article originally appeared here. Right now, we are all part of an interesting moment of change in our culture. In the span of a very short period of time, plastic straws have gone from a relatively accepted part of everyday existence to a niche-need product. As someone who works to end plastic pollution for a living, I’ve been getting a lot of questions as to how this happened and what it means. What this simple act of resistance does is that it starts a conversation — between you and the restaurant or bar, and also between you and everyone you’re with. Suddenly, the people you’re out with are confronted with a question — “Should I say ‘no straw,’ too?” Or they might say, “Oh, that’s interesting. Why no straw?” A conversation about plastic in our environment is teed up for everyone at the table. If this action stops at straws, we won’t have accomplished very much. A couple of years ago, my friend Marcus Eriksen from the 5 Gyres Institute and I were having a conversation centered around this exact question. That conversation led us and several of our friends to author a report called the Better Alternatives Now List (BAN List), where we analyzed publicly available data from a number of sources to determine which plastic products were most widely found in the environment. We purposely did not look at microfibers from synthetic clothing, microbeads from cosmetic products, fishing gear or plastic dust abrading from tires. These are all significant sources of plastic pollution, but from our perspective, they are products that require technical design changes from industry, and not necessarily changes in the way we consume. When you look at the data worldwide, you see pretty much the same types of products in the environment. The exception is that in Latin America, Africa, India and Southeast Asia, you also see a lot of single-serve personal care products and sundry items — shampoo, laundry detergent, dish detergent, etc — packaged in little plastic pouches commonly called sachets. For example, styrofoam container bans, which we support, often lead to restaurants substituting paper-based to-go containers, many of which are made with toxic Teflon-type chemicals that have been proven to cause harm. And throwaway paper products come with their own set of environmental problems — deforestation, carbon emissions from manufacture and transport, methane emissions from decomposing in landfills, etc. While substituting more sustainable materials for high-pollution plastic products is likely to be part of the solution for certain products, the real game-changer is figuring out how to get what we want without any disposable materials at all. Or imagine that you’re taking lunch to go from your favorite restaurant to eat in the park. And as you wrestle with the guilt of of taking yet another throwaway to-go box, the person behind the counter hands you your food in a reusable to-go box and mentions there is a kiosk in the park where you can drop it off (or at any restaurant or grocery store in the city). Or imagine that you’ve ordered take-out from Seamless or GrubHub or a mealkit from Blue Apron, and the delivery driver hands you your food in reusable containers and says that they will pick them up next time you place an order. Now imagine that every airport, every mall, every theme park, every zoo, every university campus, every office building and corporate campus did the same thing — got rid of throwaway cups, lids, plates, cutlery, straws, bags, etc. So that everywhere you go, you are getting what you want without all the waste, in reusable systems that are created and run by business. In Germany, cities such as Freiberg, Hamburg and Berlin have reusable coffee cups on deposit at cafes throughout each city. Companies such as CupClub, DishJoy and VesselWorks are creating reusable systems for coffee cups, dishware, to-go-containers and more, for businesses, campuses, office buildings and communities that want to ditch throwaway for reusable. In Portland, Oregon, and Durham, North Carolina, businesses and community members have developed reusable to-go container systems to serve restaurants and patrons. So, how do we replace the throwaway society with a culture of stewardship? We believe that there are important roles for communities, businesses and individuals. Plastic bag bans/disposable bag fees (including fees on disposable paper bags). 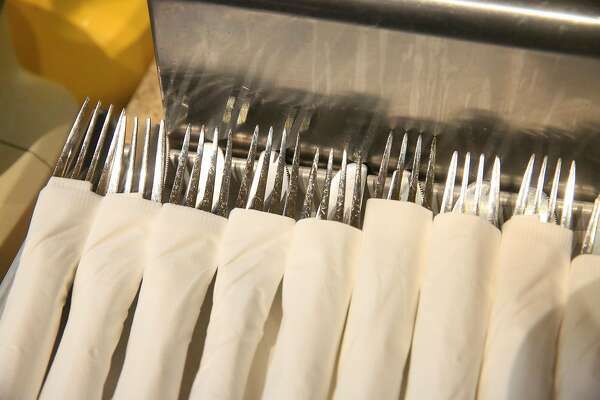 Bans on plastic cutlery, straws, stirrers. Requiring on-site dining to be reusable — no disposable plates, cups, cutlery for dining-in. Fees on to-go disposables — cups, to-go containers, primarily. Developing and marketing public water “hydration stations” (and ditching bottled water in community buildings). Most important: developing community-wide reusable systems for to-go cups and containers. Once the reusable system is in place, incorporate it into food-delivery. Institutions (universities, corporate campuses) and places of commerce (malls, airports, stadiums) are mini-communities and can follow the same kinds of policies to develop their own reusable systems. Because these are closed systems, the facilities managers have a lot of power to create rules for the vendors that operate on their campus or in their buildings. Companies have the responsibility to identify their high-pollution products and begin taking steps to change. Businesses — especially grocers, retail and foodservice operations — also can take the same steps as communities and institutions (outlined above) either on their own, or in partnership with other businesses. Companies have the responsibility to identify their high-pollution products and begin taking steps to change. If your community hasn’t developed a reusable to-go system yet, you can deeply discount reusable containers and encourage your customers to bring them. You also can charge for disposables — and publicize that you’re doing so — in an effort to do the same. More important, you can get ahead of the curve and develop a reusable system for your own customers, test what works and be a model for the rest of the business community. Beverage industry — bottles and caps, six-pack holders. Beverage companies voluntarily should use existing technology to attach their bottle-caps to the bottles. They also could ensure that their products don’t end up in the environment by supporting state-level connect-the-cap and bottle-deposit legislation, which works remarkably well to ensure people recycle their plastic bottles. After deposits are in place, the real game-changer is figuring out how to bring refillables back as they do in many parts of the world. Personal care products and sundries — sachets. This is by no means an easy problem to solve, but for much of human history people got their sundries and personal care products in reusable containers. Reusable delivery systems that protect the integrity of the product, avoid contamination, provide for sales of affordable portions and allow for market competition may be one of the better ways to solve the ubiquitous problem of sachets in the environment. Design change. Today, to my knowledge, no material besides plastic provides shelf-stable packaging for convenience food for the 12 to 18 months that vendors require of consumer packaged goods companies. There likely needs to be massive investment to design truly safe, biodegradable packaging (in ambient environmental conditions), yet maintain a shelf-stable consumable food product for 12 months. Culture change. There is no question consumers worldwide need to slowly wean ourselves off junk food and eat healthier. It’s possible we can start to do this by eating less packaged food on the go, emphasizing slowing down to enjoy healthy meals out, and to make healthier food at home. Big picture, business needs to start figuring out how to start kicking the plastic habit across the board. Because plastic pollution isn’t just about plastic in the ocean. It’s one long toxic supply chain that takes a massive toll on the environment and human health. From fracked natural gas wells contaminating drinking water; to pipelines scarring the landscape; to the sacrifice zones — especially among communities of color — in the Gulf South where petrochemicals are turned into plastic. We need to find better ways to deliver food and products without this kind of harm. Bringing your own coffee cup and reusable water bottle are great first steps, but we believe the most important thing you can do is create demand for the changes in your community and with the businesses you support. That starts with a conversation. Just like with straws, every individual conversation about throwaway plastic can start more conversations, which can start more conversations which can change the world. If your community, school or workplace hasn’t yet begun to address throwaway plastic, begin a group — or join one — to start having conversations about how to get these policies adopted. Make sure to reach out to the businesses you frequent and start conversations with them. Better yet, do it with your friends and family. When we act in private, we can feel good about not contributing to the problem, but we don’t change the narrative. When we act visibly in our community and with our community — and foster conversations about doing things better — then we start to change the norms of what’s acceptable and what isn’t in our society. And that has the power to change the world more rapidly and more transformatively than anything else. Written by Kurtis Alexander. Originally posted here. Written by Monica Wilson. Article originally posted here. It seems like every week, a corporation maligned for its role in the plastic pollution crisis comes out with some new recycling pledge, accompanied by fanfare and applause. Just last month, Starbucks announced that it will be phasing out plastic straws in favor of “recyclable” plastic lids (containing more plastic than the old straw-and-lid combo did). Earlier this year, Pepsi pledged to make its packaging 100 percent recyclable by 2025, and Unilever committed to making its packaging 100 percent recyclable, reusable or compostable. Sounds like a step in the right direction — right? No. These announcements may sound great, but they look painfully naive in the face of the growing storm that is the global plastic recycling market. At the same time that the news is filled with these flashy industry recycling pledges, we are getting an increasingly frantic story from across the country and the world that our plastic simply isn’t getting recycled. A 2017 study found that of all the plastic ever created, only a paltry 9 percent has been recycled, and the rest is clogging our streets, waterways, and has even made its way into our food systems. Beyond the fish on our plate, tiny pieces of plastic have been found in sea salt, honey, and even beer. Not to mention 94 percent of the United States’ drinking water. For decades, brands have bankrolled flashy media campaigns to convince us that our switch to disposables over reusables was perfectly fine for the planet because we could just recycle them into new products. The ugly truth is that instead of dealing with the mounting piles of plastic waste enabled by this harmful mind-set, we sent much of it to China, burdening that country with the responsibility of land-filling or burning the large quantities that couldn’t be recycled. Now China has had enough, restricting imported waste in 2017 and imposing tariffs of 25 percent as of Aug. 23, and the West’s fantasy that its plastic waste was being taken care of elsewhere has come crashing down. As of January 2018, cities across the country have had to break it to their citizens that the yogurt cups, takeout containers, and single-use cutlery that they were dutifully putting into the recyling bin were being sent straight to a landfill. Last month Waste Management, the largest waste company in America, announced that it would not be collecting plastics with codes #4 through #7 for recycling in Sacramento, making the Starbucks “sippy cup” lid just another disposable item destined for the landfill. So where does that leave those lofty corporate “recyclability” goals? Most likely in the garbage with the rest of the plastic. We can’t count on recycling to save us from the plastic pollution crisis, especially when the plastic industry is planning on increasing production in the next decade. Even if we were to miraculously find a way to recycle the millions of single-use throwaway plastic Starbucks cranks out every year, more and more plastic will overwhelm recycling systems and decimate the market. As consumers, we must demand that these companies do more than give us the same-old “recycling will save the day” line, and take things into our own hands. Cities and states can be the first line of defense against plastic pollution through sound policy that minimizes waste instead of merely managing it. As of now, food and beverage single-use disposables make up approximately 25 percent of all waste produced in California, gumming up recycling systems and clogging our landfills. Berkeley is tackling this problem head-on. A proposed ordinance from a coalition spearheaded by the city’s recycling provider, the Ecology Center, would mandate that all restaurants provide reusable foodware to customers dining in, and charge a small fee for takeout disposable foodware. Takeout items would need to be compostable or recyclable by local standards. This is one of the most ambitious waste reduction policies in the country, and would force global chains like Starbucks and McDonald’s to limit their use of throwaway items and change packaging design. Imagine if cities across the country adopted the same measures. Companies like Starbucks would have to wake up and smell the coffee. Plastic recycling has long been used as a crutch to justify industry’s ever-increasing production of single-use plastic. We need bold, innovative solutions to the plastic pollution crisis at the global level, not tired, recycled promises. Monica Wilson is the Global Alliance for Incinerator Alternatives’ policy and research coordinator and the associate director of GAIA’s U.S. office. She has been working on waste issues around the world for more than 15 years. Anton Hanekom, Executive Director of Plastics SA. issue? How can we prevent our families from ingesting toxic plastic during every meal? Certainly not through the continued production of plastic! consumer, so they don’t have to foot the bill for the waste their products create. another form of packaging and continue to ‘over package’ for this will result in a future crisis. Who has not been frustrated by the very many layers of plastic on one product? mechanisms in place to ensure manufacturers will use recycled plastic content in their products. In order to save our recycling economy, we simply need to stop making so much plastic. where burning and dumping is replaced with people-powered solutions. Niven Reddy is a Campaigner at groundWork who coordinates the African region for GAIA.